Have you made something today? If you know Open Bench Project member Eric Stark, chances are he’s asked you that question. If you haven’t met him yet, we’d like to introduce him to you. Eric is an architect by training and profession. Being an architect is something he has been interested in for much of his life, but he didn’t actually go back to grad school until his late 20’s. After graduation, he practiced as an architectural designer in Boston, and taught part time at the BAC, Wentworth Institute of Technology, and summers at RISD. Upon moving to Maine, he started teaching full time and for the past 13 years he has been teaching architecture at the University of Maine at Augusta. While he can’t think of any one person who inspired him to be a maker, Eric grew up with a dad who was rather handy around the house. From an early age he had tools in his hands. It was really after college in the late 80’s and early 90’s when he was working as a Properties Master for the California Shakespeare Festival that he found out how much he enjoyed making. For the first time, he had a fully equipped shop at his disposal, and lots and lots of ideas. So, he started making furniture, taught himself to weld, and generally just started making the stuff that came into his head. The fact that he was working in theater allowed for a lot of imagination to influence what he was making at that time. Fortunately, his time at the Open Bench Project allows for a lot of imagination these days and his favorite things to make right now are baskets. 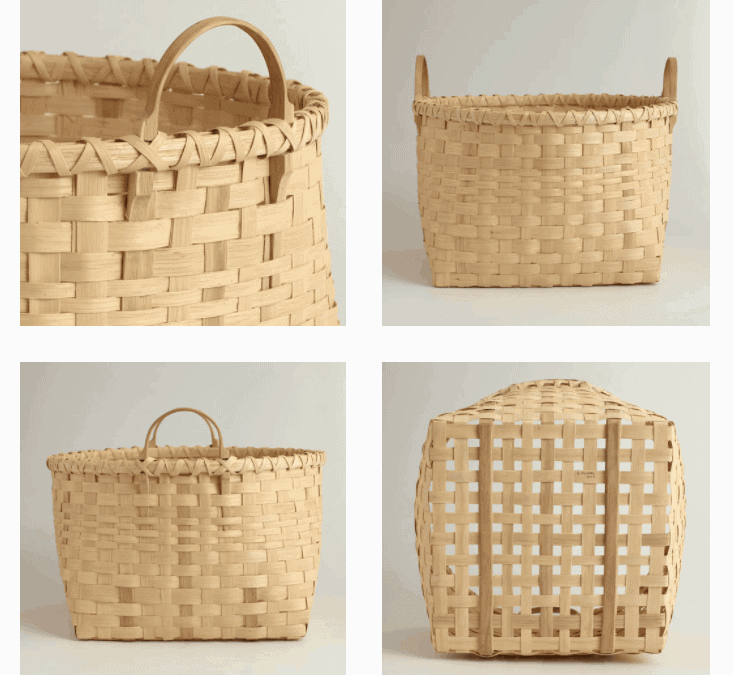 Eric was able to take a sabbatical recently, where he had a year off from teaching and was able to really explore the craftsmanship basket weaving. He had the opportunity to take classes in North Carolina, Tennessee, and Ireland! 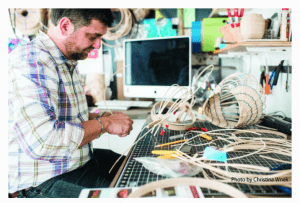 Over the past year he has worked in reed, white oak, black ash, bamboo, willow, paper, and even with pipe cleaners. At the OBP he likes to turn wood (sometimes as basket molds), and other woodworking and steel projects. But, he’s quick to clarify that he’s always open to new ways of making. He really wants to do more CNC and laser cutting in the near future, especially if he can use them in service to some good basket weaving. In our opinion, his baskets are already pretty spectacular. You can check out some of his work on his website www.madesomethingtoday.com. Having just come off his favorite holiday (Thanksgiving: good food and family, not a lot of pressure), Eric is back to teaching, basket weaving and generally making sure he’s made something today. 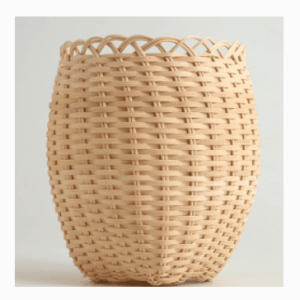 He’s also hoping that basket weaving will be offered soon at the OBP (smile, wink!). I am curious what kind of tools should be used to cut this material? Falling back into the shop. Anne Karczewski on Steel Toed Women-Making a safe place to learn.